The Hollywood Reporter has a piece on the Philadelphia Police offering Kanye West a job on the force to get himself out of debt. You have the right to remain fresh. 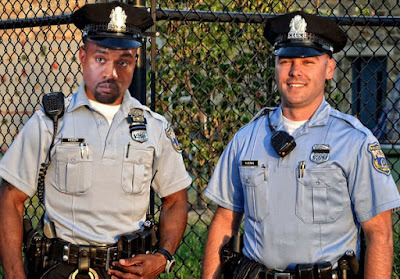 Kanye West has been jokingly offered a job by Philadelphia police to help him get out of debt. On Thursday, Philadelphia police tweeted to West that the department was hiring, and at base salary, $47,920, the rap star and clothing designer could be out of self-described $53 million debt by 3122. Police also tweeted a Photoshopped image of West in a uniform.